Mindful Curation: Miracle or Complete Madness? If Activism Is The New Brunch, Can You Do All-You-Can-Eat? Thoughts about ethical, conscious and sustainable living. Second-hand clothing is not always an ethical option, especially when it comes to global trade. What I learned in Costa Rica tells the tale. 5 priorities to consider to become a more ethical shopper. Guest post by: Leah Wise. Why Is Eco-Beauty So Expensive? I’m no expert on ethical or eco beauty, but what we put on our skin is just as important as what we put in our closets. Jacalyn Beales lives and breathes this stuff. For The Peahen’s first foray into beauty, she’s here to tell you more. This is a condensed version of Jacalyn’s article that originally appeared on her site, Out of The Wilderness, where she writes about eco beauty, palm-free and vegan living, and wildlife issues. It’s time we talked about the price of green beauty. The cost comes down to two things: ingredients and quality. I grew up being taught that it’s never too early to take care of your skin. My mother, who has aged so gracefully, consistently professed the benefits of good skin health to me during my formative years, which likely explains why I am so adamant about taking care of my skin (I’m an eco product junkie) and constantly scour the “earth” for the best, natural products for my visage (fancy, I know). Where my mother glows using two products – only two! – I’m over here dropping money like it’s hot on green beauty. My foray into natural beauty began with LUSH Cosmetics. After four years of using Neutrogena products and wearing bad-for-you makeup, I had uneven skin tone, breakouts, dry patches, redness…you name it. So when I moved to London (England) at the age of 19 and tried LUSH for the first time, I was surprised to see how healthy my skin could be under the tutelage of so-called “green beauty.” Little did I know, LUSH products are chalk-full of fragrances, parabens, glycol and sodium lauryl sulfate, to name a few. Behind those galactic bath bombs and colourful face scrubs are a host of unnecessary nasty ingredients – making LUSH the perfect greenwashing scam you’ve never noticed. Cut to, I began writing for Selva Beat – the world’s first, palm-free, vegan quarterly – and was introduced to a whole new world of green beauty: POF. Short for “palm oil free,” I got a taste for what true green beauty was all about, and suddenly, I wanted more. 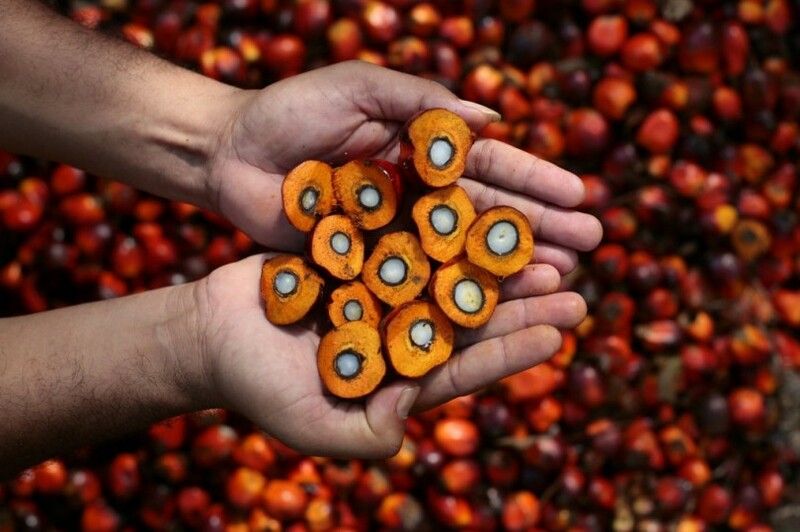 I committed to using only those brands which are 100% POF and green – in my mind, a brand cannot be truly vegan nor green if it uses palm-oil derivatives. That’s because palm production destroys the environment, causes species degradation of Orangutans, and violates human rights. The truth behind the high price tag of real green beauty lies in the ingredients and quality. In 2014, a brand called Nurture My Body wrote an insightful response explaining why their green beauty products cost what they do, relating that their skin care is made with fair trade, local and safe ingredients not bought in bulk or loaded with artificial additives. True green beauty will be made with ingredients that are natural, organic, not tested on animals, and beneficial for your skin’s health. In fact, if a product claims to be natural or “green,” yet uses weird additives the likes of LUSH’s parabens, glycol, palm derivatives and more, it isn’t truly green. As one website puts it, the Gorgeous moisturizer from LUSH (which ranges from about $80 CAD, upwards) isn’t worth the devastating price tag. Green beauty brands that care about what goes into each jar or bottle of their products will often be transparent about their ingredients and how their skin care is formulated. 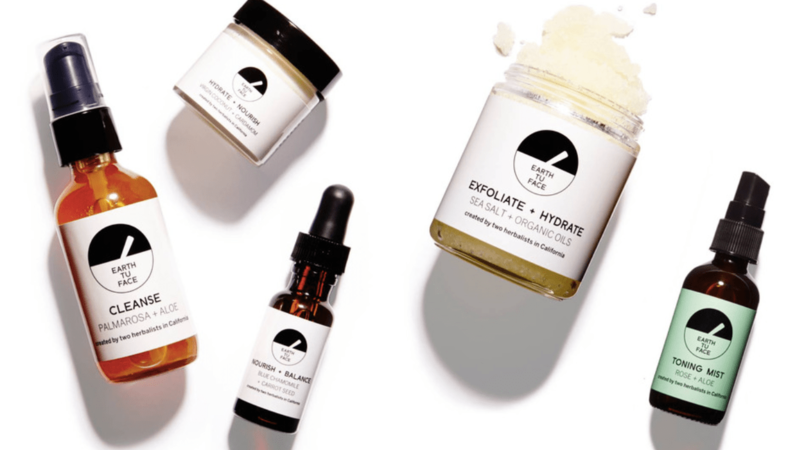 Earth tu Face, for example, is a California-based skin care brand crafting 100% green, POF products designed by two herbalists who believe that you should never put on your skin what you wouldn’t put in your mouth. I took the plunge and bought four products from this brand. They set me back $177. You see the list of wholesome ingredients in every product and begin to realize that they’re actually worth the [sometimes] enormous price tag. Why? Because it’s real green beauty that doesn’t hide behind the “eco” marketing scheme that so many “green” brands masquerade with. Vegans may not agree with the use of beeswax, but if you take into account the superior quality of ingredients, the formulations crafted by actual herbalists, the plant-based ethos and the natural, organic facets of every product, you recognize that the price tag is indeed justifiable. It’s Not Too Late For An Ethical Holiday!